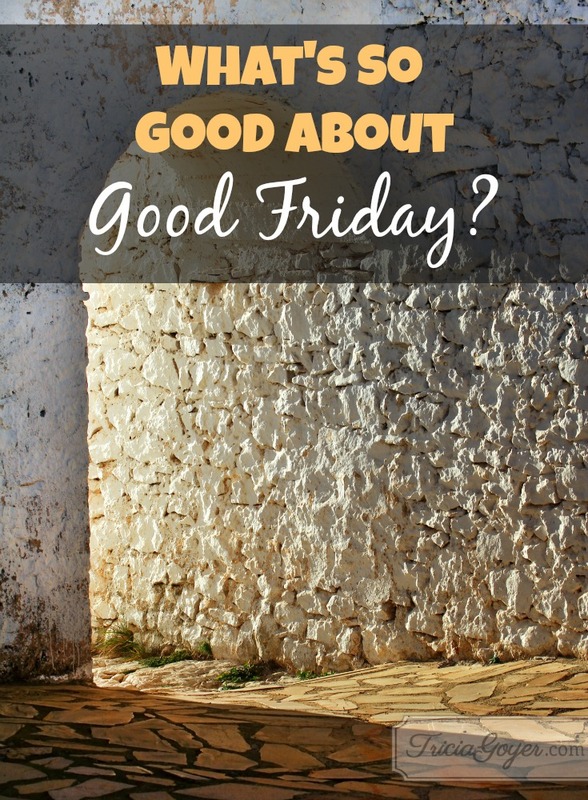 You are here: Home / faith / What’s So Good About Good Friday? Today, people all around the world are celebrating Good Friday. Businesses are closed and, in some cases, school is out. Yet, when I was younger I used to wonder what was so “Good” about it. I mean Jesus died a horrible death . . . are we supposed to celebrate that? As I grew older, I came to realize that the “good” part of Good Friday is what I received out of the deal. Before I accepted Christ at age seventeen, I was empty, lonely, and fearful. I was pregnant and alone. I had no hope for the future. Today, I have family, friends, and a writing career, but even more than that–I have Christ. He fills me with joy, guides my steps, and strengthens me to live in this confusing world. He has given me hope. What about you? Have you taken time to think about your life and where you’re headed? Good Friday is a great time to ponder this. Because what happened on this day thousands of years ago can profoundly impact your life, too. It can hard to celebrate such a somber day—the day your one and only Son died on the cross for me—but I am forever grateful for the love and saving grace I have as result. Thank you for Jesus and his sacrifice for ME! Help me remember that powerful truth each day and not just around the Easter season. I love you, Father God!